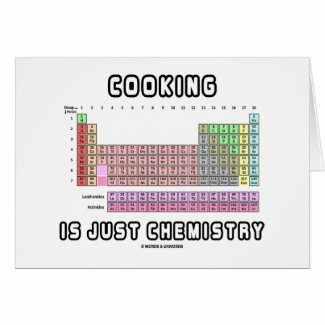 Do you love cooking? 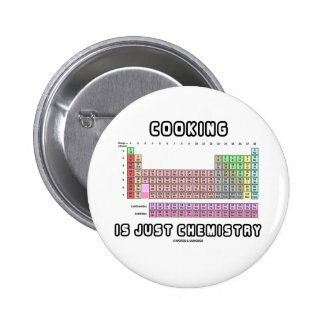 Do you view cooking from a scientific perspective? 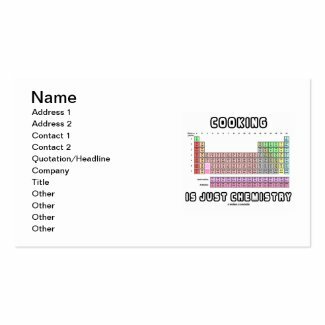 Combine your love of cooking with a dose of wry scientific humor with any of these gifts featuring the Periodic Table of Elements with the saying "Cooking Is Just Chemistry". Make others do a double-take with a dose of educational geek humor today! 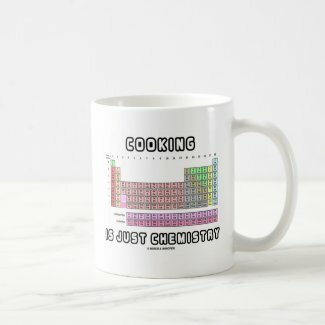 Memorable gifts for lovers of cooking and chemistry!